JOLIET, Ill. (WLS) -- Three people were charged Thursday in connection to a fire in southwest suburban Joliet that killed three people, including a baby, last month. 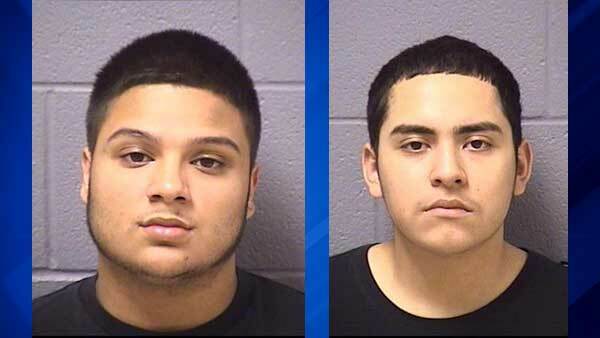 Andy Cerros, 17, Manuel A. Escamilla, 18, and Eric J. Raya, 18, all of Joliet, were charged with six counts of first-degree murder, one count of attempted first-degree murder, and three counts of arson, the State's Attorney of Will County said. Three people were killed in the house fire in the 0-100-block of North Center Street on June 3. The victims were identified as Jaquetta A. Rogers, 29, Regina L. Rogers, 28, and her 11-month-old daughter Royaltyblue Rogers. Firefighters were called at about 2 a.m. and found the bodies of a baby and two women when they got to the house. A man in the house jumped from a second-story window, fire officials said.